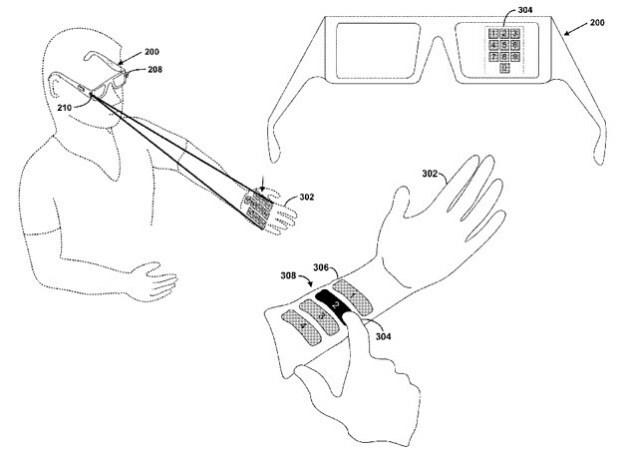 A Google patent that was recently found shows Project Glass being able to (conceptually, of course) beam a QWERTY Keyboard or other user-interface onto a surface, or in this case, the wearers arm. A camera would pickup where you placed your fingers. Overall, this is pretty neat stuff. Project Glass is Google’s special glasses project that hopes to bring never-before-though-of functionality to wearable eye glasses.